To the surprise of many, this building has never been home to a real fire station … it was merely a theme that the original Pumphouse founders felt would be successful in combination with the structure itself. Though it has never been a firehouse, the building has a lot of history behind it. The Pumphouse Brewery is housed in the original “William Lugg Building”. William Lugg was a prominent businessman in Longmont during the early 1900’s. The building was erected on the corner of 6th & Main Street over what was previously a wood & coal storage and sales yard. The Lugg Building was initially used as a garage & repair shop, and was known as the Ford Garage. In subsequent years, the building changed hands a couple of times, and was renamed Power Motor Company & Cleland Motor Company, in turn. In the late 1920’s, Mrs. Ollie R. Boggs leased the building & opened a “high class, up-to-date roller skating rink” named Fairyland. This use lasted only a short while, as Standard Oil of Indiana took over the building in 1930 & remodeled it for a service station. It was a large station in its day & was referred to as “Standard Super Service Station” (S.S.S.S.). Mr. Lugg operated the business himself. J.W. Rankin purchased the building in 1935, and built his business – Rankin Chevrolet – into the largest dealership in a 6-state region. Six years later, it became Troxell Chevrolet under new ownership, & then again changed hands 10 years later to become Wills & Hajek Chevrolet in 1951. They added an Oldsmobile dealership under the same roof a few years later, and after a few additional expansions, they built a new building for their business, selling the Lugg Building to Firestone Tire Company. Firestone sold tires & serviced cars until 1991, and then leased the building to a real estate office & western wear store. 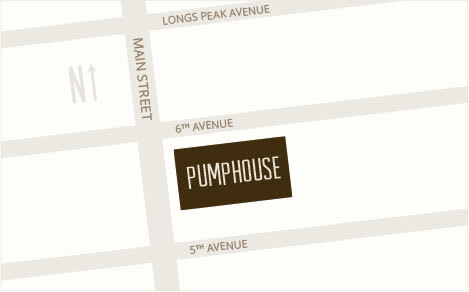 In 1995, the 4 original Pumphouse partners bought the building with big plans in mind. 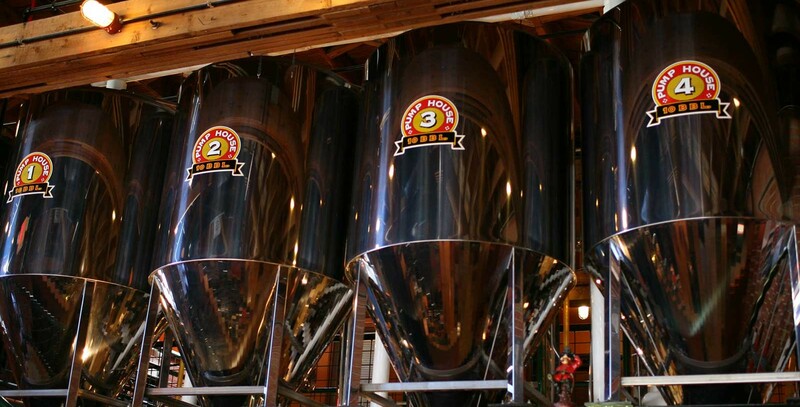 The Pumphouse opened in May of 1996 as an independently-owned, single-unit brewpub. To become a functional restaurant & brewery, the building had to be transformed radically, though much of the original architecture was left intact to preserve the Historical Landmark status of the building. Renovating a building of this nature – one not originally designed for restaurant use – leads to a somewhat quirky layout, but there is no doubt that the atmosphere is that much more charming & intriguing because of this. The Red Zone was opened in October of 2004 as an expansion to the established Pumphouse business, with sights set on providing Longmont a first-rate sports bar. The Red Zone addition more than doubled the size of our restaurant, affording us the opportunity to serve a more diverse client base at a time when we were truly running out of space!